The civil war in Somalia erupted in response to a 21 year-long dictatorship that was brought to an end in 1991. Also in 1991, Somalia was split into Somalia and the Republic of Somaliland, with the capital Hargeysa. The Republic of Somaliland is not officially recognized internationally, and is still part of Somalia. The top exports are sheep and goats, bovine, other animals, oily seeds, and molluscs. Country Information: The capital of Somalia is Mogadishu and the country’s population size is about 12 million. The official languages are Somali and Arabic, and the dominant religion is Sunni or Shafi’i Islam. The time zone is 7 hours ahead of EST. 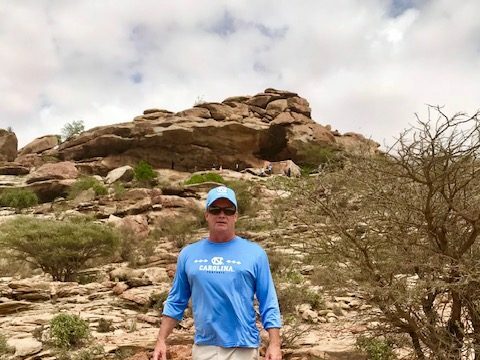 For those who do visit, one place to explore is Laas Geel on the outskirts of Hargeysa city. Behind the rocks in this area are small caverns which lead to well-preserved, old cave paintings. They are estimated to be between 4,000 and 7,000 years old. This is one of those countries, as with Libya and Iraq, when I told people I was traveling there, they looked at me sideways. The State Department strongly discourages people venturing here, citing threats of kidnapping and murder. My arrival into Hargeisha was in auspicious, until the customs official noticed that my visa request had expired and asked me if I would like to call someone. “Um, like who?” I asked. “Someone to fix this”, he responded. After making me squirm for 10 minutes he relented and issued me a visa on arrival. And I paid my extra $60 entry and was happily screwed … but on my way. Somalia got its independence from the British in 1960 and then in 1988 Somaliland, a different clan of Somalis, began a Civil War to declare their independence from Somalia. The war lasted three years and cost thousands of lives. Somaliland, with a population of 5 million people, has its own capital, representative government, elections, fact they just elected their fifth president, a parliament, currency and many universities. Yet, it is still not recognized by the international community as a sovereign country. That will come because this country is stable and secure in a model for other countries. 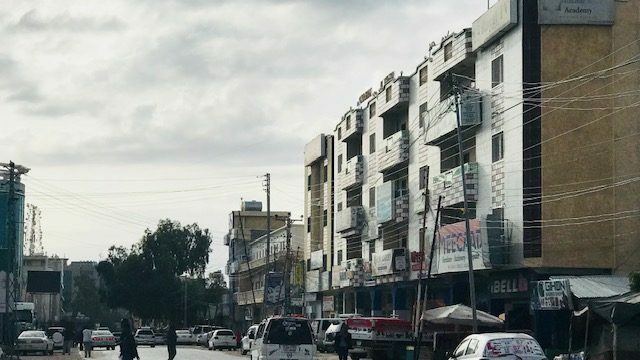 Half of Somaliland population lives in Hargeisha, which is a modern and vibrant city, by African standards. New cars roam the streets, which are lined by miles-long strip centers. From car repair to cosmetic centers, and sometimes both sold together, Hargeisha is abuzz of commerce. People are smartly dressed, men in jeans and shirts, women in bright hijabs. Everyone has a mobile phone here. Goats roam the streets … oh as a reminder … that is the real business of Somaliland, the export of animals (goats). Had a nice time at the camel market, which was much more upscale than in Mauritania. And, prices were lower for a dromedary in Somaliland, a nice camel going for $600-700 USD here. Also had a good time with the money changers! 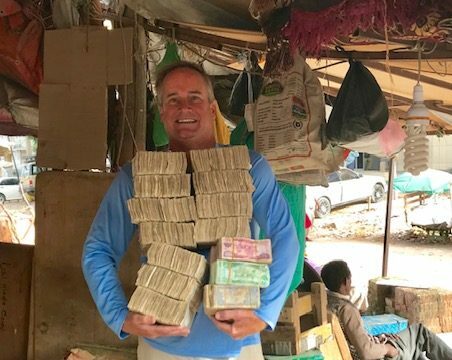 The black market is active here, and took some great pictures with bricks of cash. As I toured throughout the country, I had an arm security guard with me, as a precaution. We went to the north east to Laas-geel to look at the incredible rock art paintings from 10,000 years ago. There were drawings of cows, dogs, elephant, tigers and giraffe. My security guard told me, “everybody soldier”. I asked my god what that meant. Apparently anything suspicious is reported to the police to investigate it quickly. If people with guns try to cross the border, the police are notified and stop them. It’s like a city and nationwide crime watch. It has worked remarkably well for Somaliland. I stayed at the Mansour hotel, on the outskirts of town. The hotel has tight security around it, which is great. The lobby is wide and inviting, with a restaurant in the center. I enjoyed a pizza at the restaurant, and the service was excellent. The rooms are nice, although they did not have air-conditioning, which could be a problem when the weather is warm. 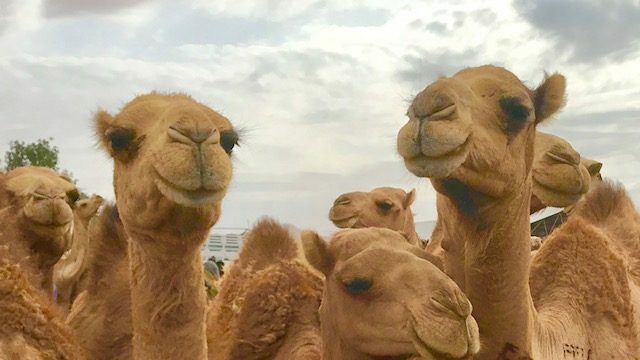 Great deal on dromedaries in Somaliland!